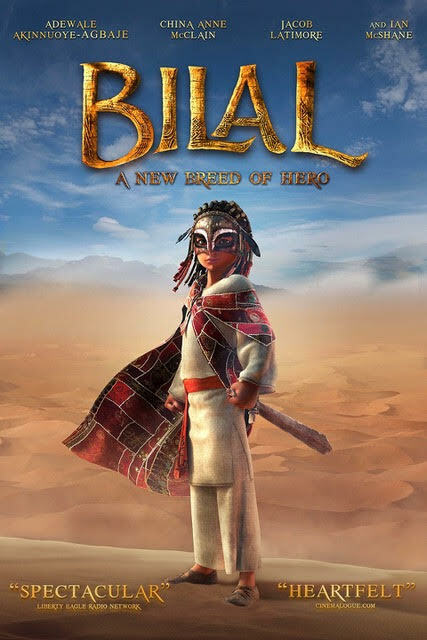 Vision Films and Barajoun Entertainment are proud to present the spectacular animated film inspired by true events "Bilal: A New Breed of Hero." Directed by Khurram H. Alavi and Ayman Jamal, this film is the first historic epic tale to be reimagined as a computer generated animated feature and is inspired by the epic story of “Bilal Ibn Rabah” and his dream to escape slavery and become a warrior hero. Following its theatrical release in the United States earlier this year, "Bilal: A New Breed of Hero" is now available on DVD/VOD. . 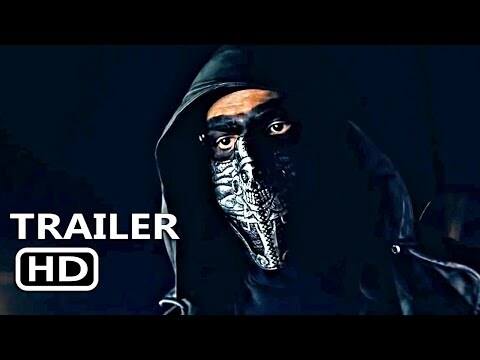 Featuring the vocal talents of Adewale Akinnuoye-Agbaje (Suicide Squad, Game of Thrones), China Anne McClain (Descendants 2, K.C. Undercover), Jacob Latimore (The Maze Runner, Collateral Beauty), and Golden Globe winner Ian McShane (Deadwood, Pirates of the Caribbean: On Stranger Tides) along with Michael Gross (Family Ties, Tremors), Thomas Ian Nicholas (American Pie, Walt Before Mickey), Cynthia Kaye McWilliams (Nashville, Bosch) and Fred Tatasciore (Kung Fu Panda, Family Guy), "Bilal: A New Breed of Hero" is a story of a real hero who earned his remembrance in time and history. Bilal is a grand-scale, fast-paced animated adaptation that is both empowering and inspiring in its call for social justice and equality. A thousand years ago, a boy with a dream of becoming a great warrior is abducted with his sister and taken to a land far away from home. "Bilal: A New Breed of Hero" is now available on Digital for an SRP $4.99 - $9.99 Rent or Buy across all platforms and to Buy on DVD for $9.49. “We hope this film starts conversations amongst families. It is an important piece of history that North Americans know very little about. The story of a slave that had the courage to speak out and demand that he be treated fairly is so inspiring. This powerful message is delivered through an action-packed adventure so Bilal is a must-see film,” Lise Romanoff, Vision Films CEO/Managing Director, said.